On the surface this is the madcap rom-com territory Howard Hawks previously traversed to great effect in 1934’s Twentieth Century and Bringing Up Baby four years later. Yet, the film’s parallel plot, reporting the story of a destitute man due to hang for the killing of a policeman, is played a lot darker (and crueler) than modern audiences may expect. Plus, His Girl Friday was based on hit 1928 play The Front Page, written by Charles MacArthur and Ben Hecht. Two seasoned Chicago reporters, both were familiar with the lengths and depths newspapermen will go to for a scoop, plus the conniving of politicians looking for re-election. Hecht’s screenwriting credits also included the original Scarface and Hitchcock’s Notorious, suggesting unabashed sentimentality wasn’t his thing. 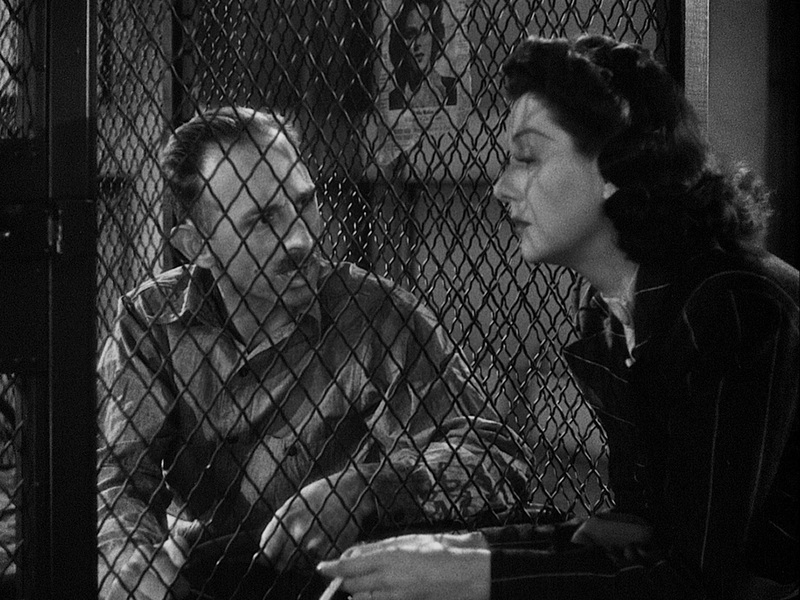 Let it not be forgotten also that this is a Howard Hawks movie, Hawks being a director who always ensured salt balanced the sugar in his films. His Girl Friday was famous for switching the gender of Hildy from male to female, the director savvy enough to know love stories provide a great hook on which to hang a story. But, he was chiefly interested in depicting characters who excelled at their job; love fades, professionalism is forever. This allows Hawks to present Walter Burns as the hero, despite being a double-dealing, untrustworthy rat not above getting Bruce arrested twice so Hildy must stay in the city and on the story. If it’s for the good of the newspaper, he’s doing his job right. The villains of the piece are professionally inept, cut corners or betray their positions. A buffoonish sheriff and stuffed-shirt psychiatrist see glory in Earl Williams (Qualen), the man sentenced to hang. A corrupt mayor is willing to cover up a reprieve because Williams swinging equals re-election. Even the reporters in the courthouse press pit get short shrift for ignoring the pleas of tart-with-a-heart Mollie Malloy (Mack), who comes with vital information on the case. And His Girl Friday is funny. Modern audiences may need a few minutes to slip into the film’s rapid-fire, clipped delivery rhythms, but Grant and Russell’s jabs and barbs sizzle with wit and chemistry. The timing, the retorts, the looks and double-takes all delight. Elsewhere, gallows humour bites afresh in our fame hungry times. The sheriff and psychiatrist looking for glory in Williams’ execution? They discuss this with Williams in the room. Literal gallows humour comes from reporters bemoaning the racket made by executioners’ dry-runs to ensure Williams doesn’t bounce on the rope. There is even a laugh-out-loud-with-shock suicide attempt that the frenetic plotting takes in its stride. It could also be inferred that Hildy’s wedding to Bruce, due to occur on the same day as Williams’ hanging, is a death sentence of domesticity for the skilled writer. Two in-jokes now look too cute, but at the time brought down the house: when describing Bruce’s appearance Burns says he resembles actor Ralph Bellamy (Oceans 12 did this as an entire subplot with Julia Roberts), and later Burns mentions an “Archie Leach” double-crossing him. Look up Archibald Leach if you’re scratching your head. Not everything sits well with 21st century sensibilities. The mayor wants Williams to hang because he murdered a black police officer and the “coloured vote is important in this town”, an uneasy remark when seen with the hindsight of decades of US racial tension. A later joke featuring repeated use of “piccaninny” also betrays the film’s 76-year age. Ironically, also potentially problematic is what sealed the film’s reputation as a classic of cinematic daring: switching Hildy Johnson’s gender. What once seemed modern now runs close to male chauvinism, the dominant man manipulating the weaker woman into what he believes best for her. Hildy is too fierce a talent to waste away in Albany with Bruce, but Burns is clearly calls the shots on her future. 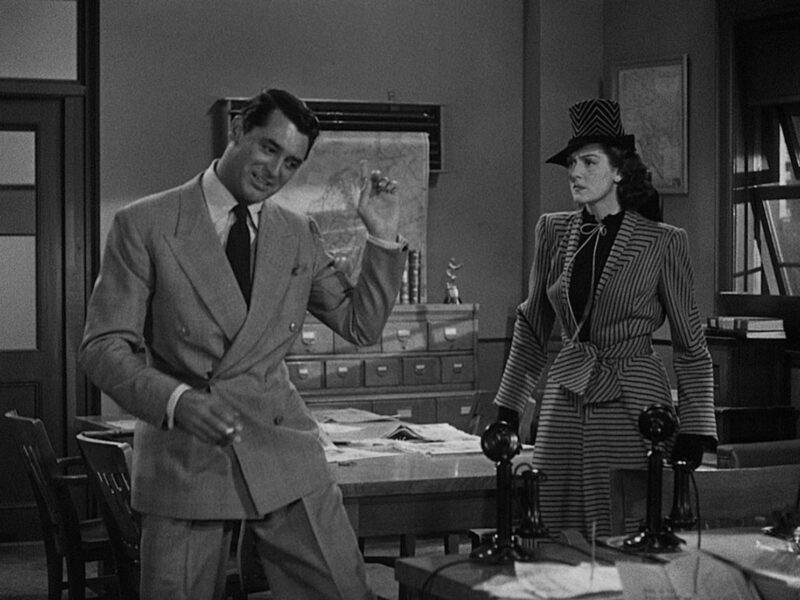 His Girl Friday is also a superlative example of telling a story at speed within the efficient Classical Hollywood mode. Modern directors whose films have shot lengths of seconds but still drag interminably should study this film to see how pacing and plotting are done. Hawks’ shot lengths may be longer, but he packs the frame with action. Cameras travel, characters shift around in expertly choreographed staging, dialogue fires from mouths and overlaps. Watch Grant or Russell, they’re always moving: knotting neckties, bashing on typewriters, spitting orders and updates into multiple telephones. Even the smoke from their cigarettes seems to move with urgency. Not that this would work without the two leads’ heavyweight performances anchoring the film. 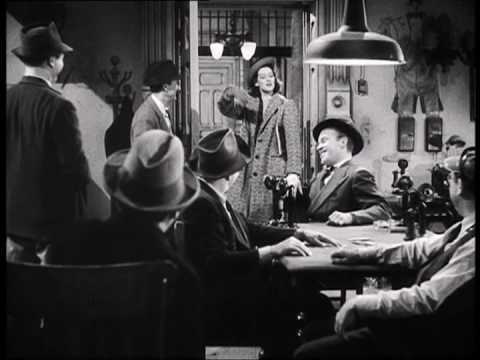 Burns may be a sonofabitch (a word in the original play but not permitted in this film), but Grant’s charm and charisma makes him a powerhouse character of cunning, manipulation and fun. He may not be the best guy in the room, but he’s the best time. Russell, seventh choice for the role after first choice Jean Arthur refused and others including Claudette Colbert and Carole Lombard passed, is faultless as Hildy. Not a classic beauty, Russell’s everyday attractiveness, gangliness and ready wit is perfect for a woman whose job includes wrestling officials to the pavement for a scoop and batting equal with fellow hacks. The Front Page was remade again in 1974 by Billy Wilder, switching Hildy back to a man, played by Jack Lemmon, with Burns portrayed by Lemmon’s big screen sparring partner Walter Matthau. In 1988, Switching Channels updated the story to a TV newsroom, turned the Hildy character back into a woman, played by Kathleen Turner, with Burt Reynolds her exasperating boss (and Christopher Reeve in the Ralph Bellamy role). There have also been numerous TV versions and a 1949 TV series. 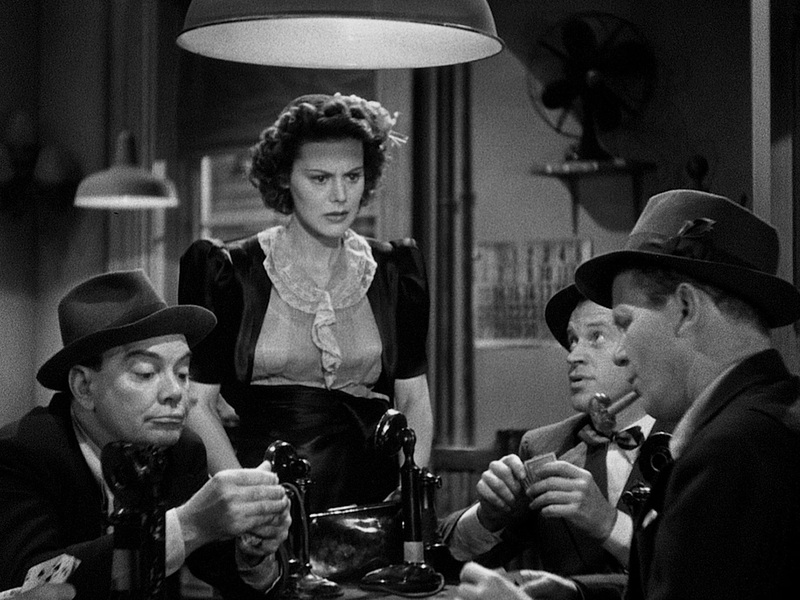 But, it shouldn’t be front page news His Girl Friday remains the definitive telling of the tale. 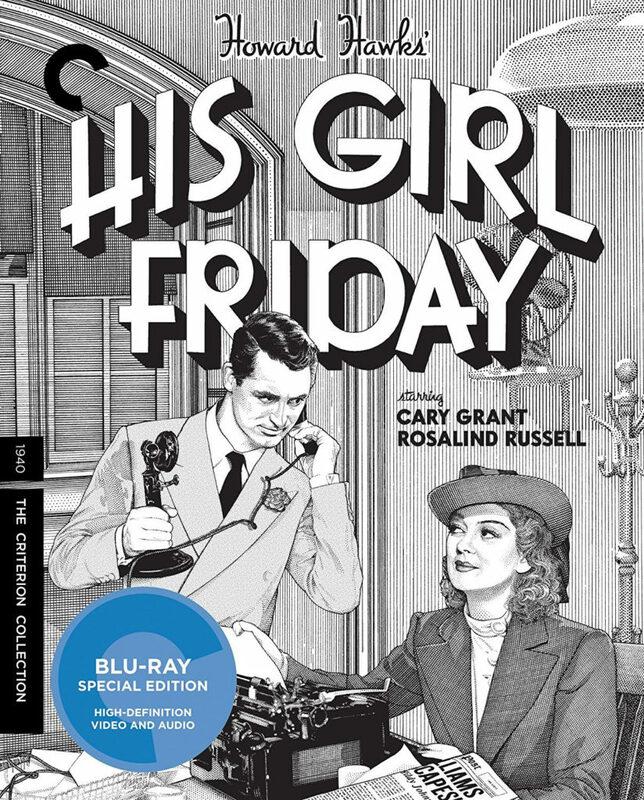 Extras: While an audio commentary would have allowed analysis of the filmmaking artistry on a scene-by-scene basis, there is nothing to grumble about with Criterion’s 2-disc release of His Girl Friday. The meatiest extra is the original 1931 adaptation of The Front Page, directed by All Quiet on the Western Front’s Lewis Milestone. Remastered from a 2K restoration, the old cliché of “it’s never looked this good” is apt here (as it is for Criterion’s transfer of His Girl Friday itself). The Front Page may not zing with the same energy as Hawks’ movie (and runs 10 minutes longer), but its roving camerawork and multi-character sound recording are notable for a time that stopped movies in their tracks, as actors huddled around hidden mircophones. Supplementary material includes film expert David Bordwell’s 25-minute appreciation of His Girl Friday, which acts as a handy introduction to the themes and style of Howard Hawks. 25-minute pieces on the restoration of The Front Page, including the differences between the US cut and the racier international versions, and writer Ben Hecht provide insight into the original story and the era from which it sprang. 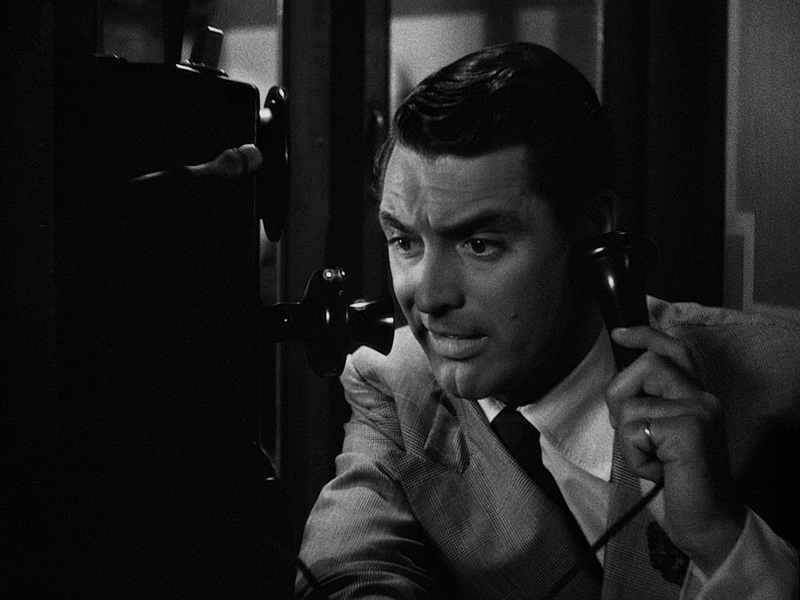 Featurettes from 2006 and 1999 on Hawks, Russell and His Girl Friday are fun and fleeting. A 10-minute audio only interview with Hawks and Peter Bogdanovich provides background on the film, including the ad-libbing that led to those Ralph Bellamy and Archie Leach in-jokes. Also present in this bumper package is the Lux Radio Theatre adaptation of His Girl Friday, starring Fred McMurray as Walter and Claudette Colbert as Hildy (Colbert ironically being one of the actresses to turn down the screen role). Two 1930s Lux Radio Theatre adaptations of The Front Page sit alongside the 1931 film on the second disc. All radio plays run just under an hour. Add in a re-release trailer and the original theatrical trailer, plus a 46-page booklet (not included with the review copy), and you have a movie classic dazzlingly presented. Read, hear and see all about it.